a) South Africa, like many African countries, emerged from an oppressive, divisive and colonial system which created a fragmentedsociety.The country was divided by race,class, gender and other forms of segregation such as urban and rural settings.The rural areas were characterised by conditions of severe poverty,poor living conditions,landlessness,lack of opportunities to improve the lives of the majority people.The system fragmented the country into enclaves designed to foster ethnicity,linguistic and tribalism.The majority of the population were denied the right to representation in national government. Participation in all aspects of national life was reserved to a minority sector of the population. b) Nation building became a central focus after 1994 and to achieve this vision, national symbols of the new South Africa had to be established to convey identity of the country and its people as critical elements on national identity. c) Each and every country in the world has national symbols. The raising of the new flag always marks the birth of a new country. This also happened in South Africa in 1994 when this country marked the passage from the apartheid era into democracy. d) National symbols are not decorative artworks that adorn official letterheads and government buildings but are strong symbolic statements adopted by each country and its people as elements of national identity. National symbols, such as the flag, become the brand image of a country. The flag, for example, becomes the face of the nation in world events such as Olympic. The National Anthem is the very expressive of them all. It is an expression by people of the love and loyalty to their country. National pride and solidarity is expressed with deep emotions of the love and passion. The history of a country permeates through its national symbols. The launch of the new National Flag of South Africa, for example, was a historical land mark symbolizing the demise of apartheid. The South African national anthem does reveal a history of a once fragmented society. This can be traced from the history of the “Die Stem” and “Nkosi”. Both anthems use to serve different communities. The combination of these two anthems marks a time in history where unity, nation building and social cohesion have taken a centre. To this effect, both the flag and the anthem urges us to value our democracy and never to aspire to our divided past. National Symbols have a unifying role as they present the citizens of each country with the common identity. The National Anthem demonstrates this through its content. Our Anthem is a prayer for blessings, and the appreciation of our natural resources. We as people come together in petitioning for the goodwill of our continent as well as our country. It should be noted that our Anthem is not only focus on South Africa as a country but is petitioning for the blessings and wellbeing of the whole African continent. This is in realization that we are part of the bigger setting, our success being dependent to the success of the whole continent. The African Union Flag and Anthem also play part in advancing social cohesion in South Africa as we are a country with diverse people. 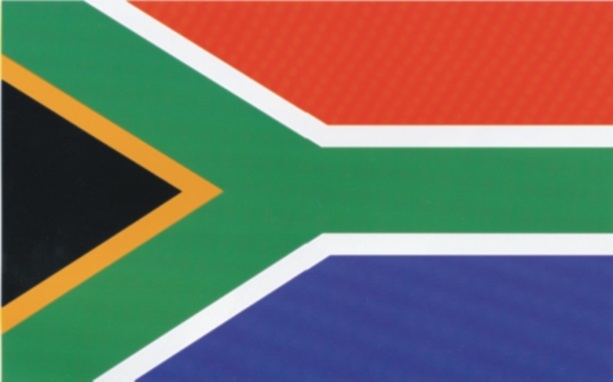 The flag design emphasizes unity through the converging lines and multi-colour evoking the ‘rainbow nation’ concept. The national coat of arms expresses this in a motto, urge us to unite. Symbols can be a statement of intent and a road map in which a particular country would like to take. The South African flag demonstrate this with the convergence of two separate lines that is united to one and move forward in unison. The Anthem, in the other hand, is projecting on a blessed continent with prosperity. Furthermore, our Anthem is also in complement with the AU Anthem, which projects the vision of Africa as a tree of life. The issue of identity is but one of the major roles of the national symbols. Studying the three primary national symbols of South Africa (the flag, Anthem and the coat of arms) one would observe a consistent concepts – that of unity in diversity, nation building and social cohesion.